Nobody should be forced to choose between paying for food for their children and medicines to stay alive. But big drug companies are making billions in profits by cheating poor countries with sky-high drug prices, rigged tax laws and hundreds of millions of dollars in avoided taxes. Even though tax avoidance hurts us here in New Zealand, worldwide women and children living in poverty pay the biggest price. When governments don’t have crucial funds to invest in their people they are forced to balance their budgets by cutting back on essential services which the poorest rely on. Losing out on education and healthcare, women are deprived of the chance to improve their lives and lift themselves and their families out of poverty. A lack of global transparency has allowed a worldwide network of tax havens. These tax havens enable multinational companies like Johnson & Johnson to avoid paying billions in tax; money that could help close the gap between the rich and the poor. This broken system needs to be fixed. How broken is this system? New research from Oxfam tells us. Each year, from 2013 to 2015, four of the world’s biggest pharmaceutical companies – Abbott, Johnson & Johnson, Merck & Co. (also known as MSD). * and Pfizer – appear to have avoided paying NZ$5.5 billion in taxes in nine developed countries, and an estimated NZ$167 million a year in seven developing countries. Here in New Zealand, these companies avoided paying NZ$21 million each year. Multinational companies are cheating governments – including our own – out of billions of dollars. This means less nurses and doctors, longer waiting times for medical treatment and less money available to purchase life-saving medication. Schools also miss out with bigger classes failing to give our teachers the time they need to give our kids the best education. Developing countries suffer most because their governments do not have the necessary funds to provide basic services to some of the world’s poorest people who rely on these crucial services to escape poverty. And as immoral as tax avoidance is, it is completely legal. In fact, it is common practice for multinational companies to legally shift profits and losses to pay less tax and make more profit. Our government has made good progress but we need to do more. New Zealand has taken positive steps towards addressing tax avoidance within our nation. But there are still loopholes within the international tax system. 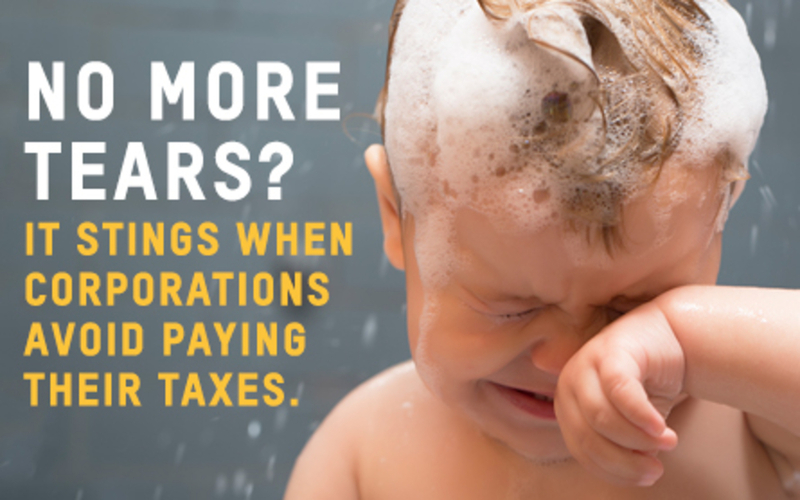 To close these loopholes, and make big corporations like Johnson & Johnson pay their fair share in tax, we need our government to require multinational corporations to publish their key financial information from every country they operate in. requiring public country by country financial reporting for all large multinational corporations. Copyright © 2019 Oxfam New Zealand.